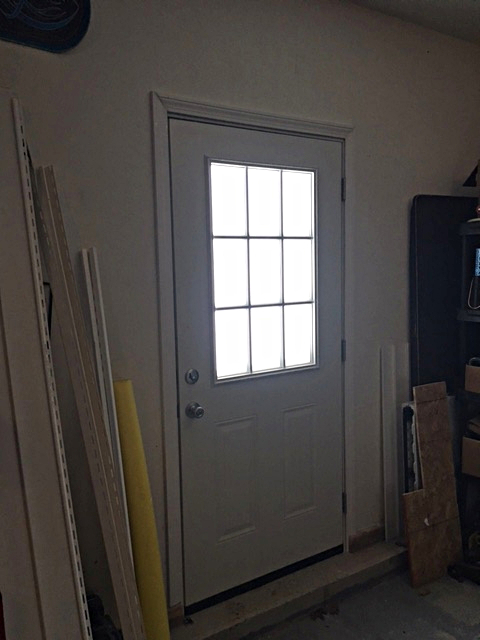 Framing and installation of a door from garage to backyard. Responsiveness, knowledge of his field, local business. Good guy, who does good work. I started googling, looking for someone who could frame and install the door, and found some lists of contractors. The first couple I contacted didn’t get back to me, but Mark of Handyman Mark LLC returned my call within 2 minutes. He was very knowledgeable; he’s been doing this for years. Besides, he’s local, right down the road. We even have some acquaintances in common. We spoke on a Friday night. Afterwards, I looked at a couple of his recent reviews. Then I checked him out with people I know in the industry. When Mark came here the next morning to give a quote, he told me, “I could do the whole thing right now if you want.” I’m like, “Let’s go!” We headed to the store to get supplies and he started the job right away. The whole project took about 5-6 hours. 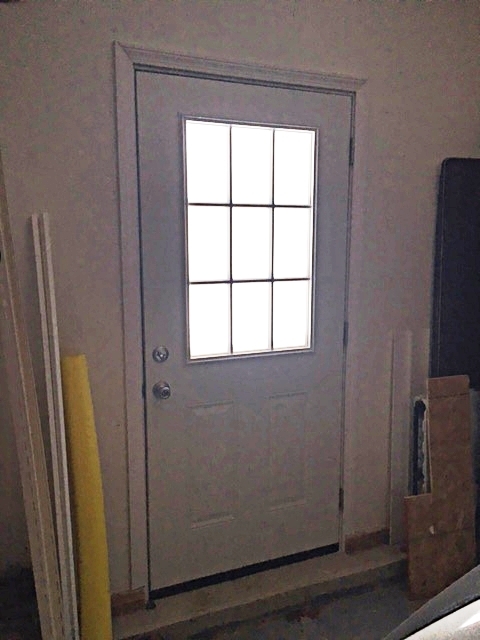 He cut through the drywall, framed out the doorway, installed the door, and that’s it – good to go! Done! Next summer, if people come over for a cookout, they can just go straight through to the backyard or if you’re in the pool and want to grab a beer, you just come in through the door; we’ve got a beer fridge in the garage. Easy access. Definitely do your research, because I know people who’ve gotten burned in the past by contractors. Word of mouth recommendation is good, if possible. Speak to at least a couple of contractors and get a sense of whether they know what they’re talking about. Try to take a look at some of their past projects, too. The Right Landscaper Can Change A Yard From Terrible To Terrific by Janet P.
Brand New Garage Door Opener Motor Installed in a Brand New Home by Dexter D.